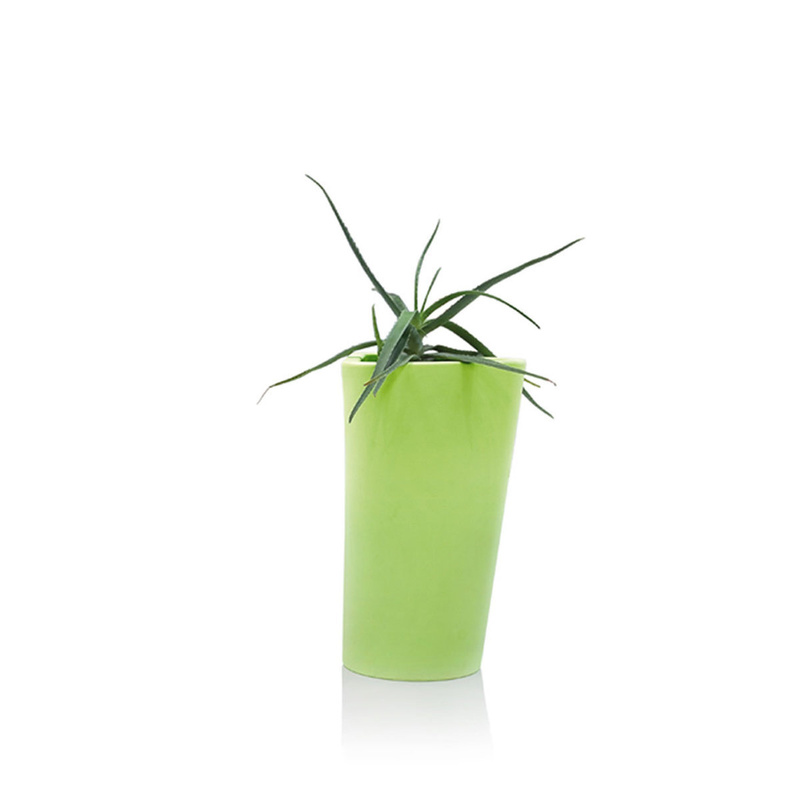 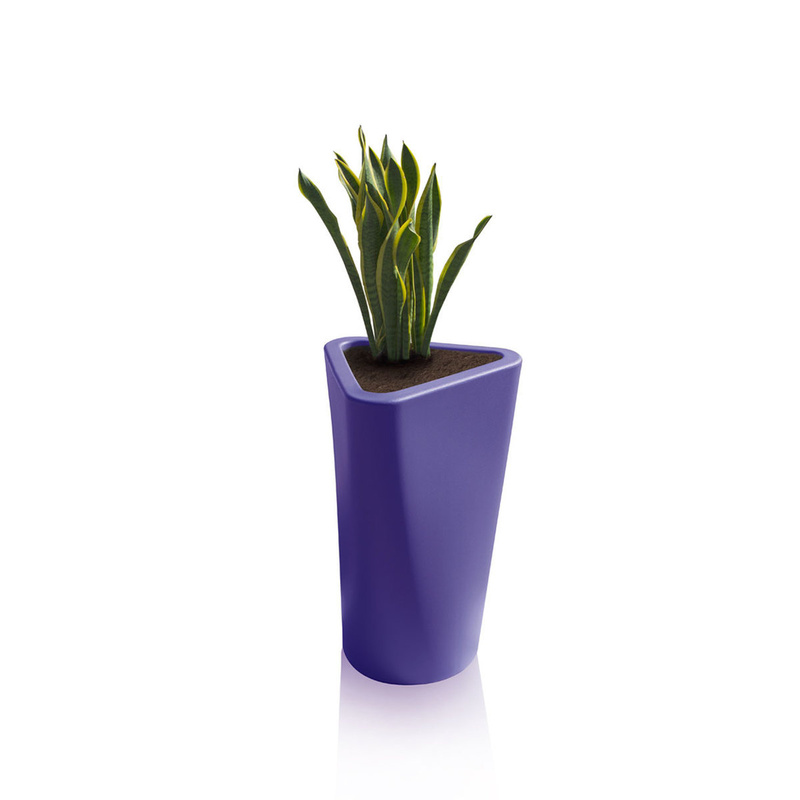 Materials Vase: polyethylene. Insert: steel. 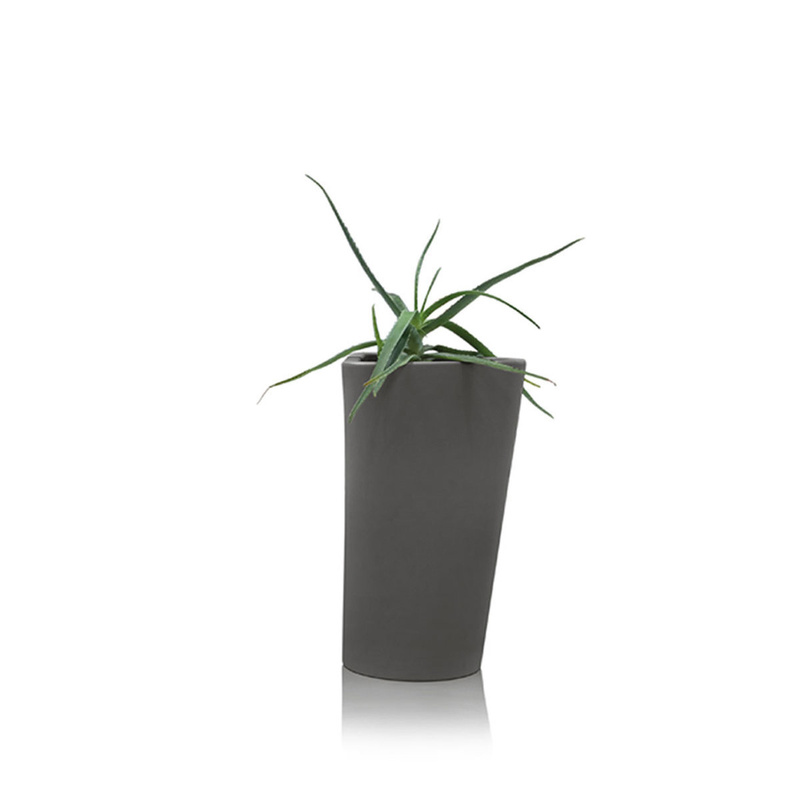 Tall or low vase, not only is Eve born from the “rib” of the Adam table, but it is the perfectly overturned image of the latter. 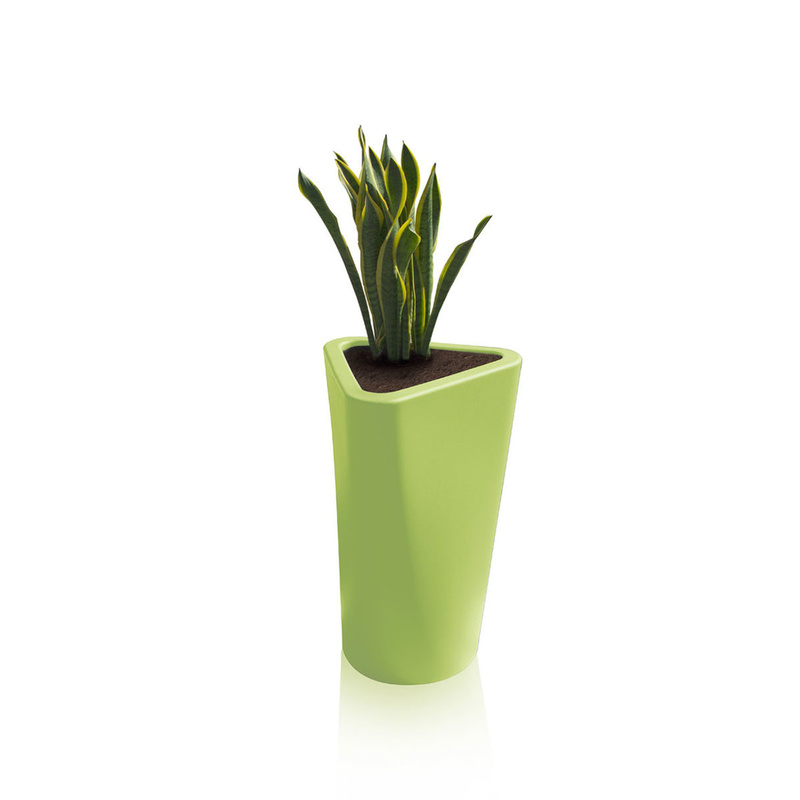 In rotomoulded polyethylene, it can equally be used indoors as well as outdoors. The base is round and, in a rising transition of shapes, transforms itself into a triangle.